Guys, are you owner of Apple iPhone 6? Don't forget read the manual / user guide because provide many information and important instruction to operate it. The manual is available at apple website. The manual for iOS 8.1 Software. 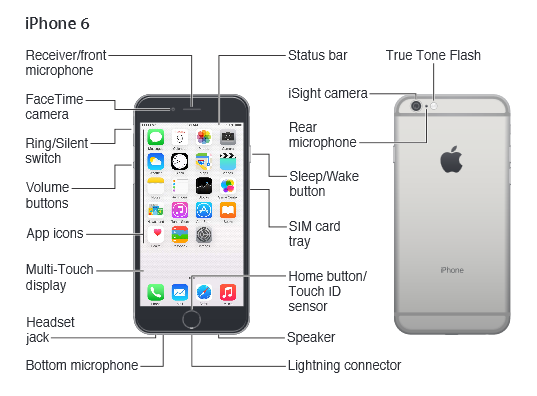 The Apple iPhone 6 user manual contains 183 pages. It's devided into 32 chapter. This manual provide detail reference information such as iPhone overview, Accessories, Multi-Touch screen, Set up and activate iPhone, Connect to Wi-Fi, Connect to the Internet, iCloud, Manage content on your iOS devices, and Tips for using iOS 8.